Smoke stain removal is a service in high demand around the Milwaukee area. For a variety of reasons, having the inside of your chimney cleaned can be an obtrusive ordeal. The professional chimney sweeps of Wisconsin Chimney Technicians offer high quality smoke stain removal and chimney restoration services. Our sweeps believe it’s unacceptable to have a gorgeous brick and mortar chimney in your home covered up with charred smudges from winter fires and excessive smoke. Unfortunately, common attempts to rid your chimney of smoke stains often damage the longevity of your chimney. Even worse, unskilled handling of the smoke stain removal process will lead to a multitude of problems in the interior of your home. 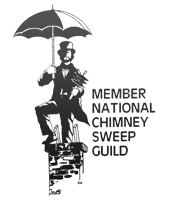 Lesser chimney sweeps commonly use invasive cleaning substances. The harmful chemicals and odors require residents to clear out of the house for extended periods of time. Wisconsin Chimney Technicians use gentler cleaners which are just as effective at removing stains without the unpleasant smells. Smoke stains are more than unsightly – they are a danger to your home. Stains are the result of soot sticking to surfaces in and around the fireplace. Soot is combustible, making it a safety concern the more you use your fireplace. Every soot stain on your walls, ceiling, and fireplace can go up in flames in the wrong circumstances. And soot itself is harmful when inhaled. Just like smoke inhalation, soot can lead to lung problems like respiratory diseases. Those with allergies or asthma are more likely to notice difficulty breathing. Smoke stain removal gets rid of soot from your fireplace so you can breathe clean air and continue to use your fireplace safely. Planning to play host this holiday season? Don’t forget to have the fireplace cleaned! You clean every other part of your home, so don’t overlook the fireplace. You don’t want to light a cozy fire only to have your holiday plans go up in smoke! A professional fireplace cleaning from Wisconsin Chimney Technicians will make your home look better and prevent accidental soot combustion. Impress your family and friends with a clean and safe fireplace this winter! Self-cleaning logs are a popular do-it-yourself solution but often fail. The chemicals released from the log weaken creosote buildup but do not clean stains. Chimney cleaning for smoke stains can and should be dealt with properly by trained Wisconsin Chimney Technicians. Sweeping your own chimney is another mistake made by many homeowners. There’s more to it than just brushing the inside of your fireplace! Soot stains often need special chemicals to be fully removed. 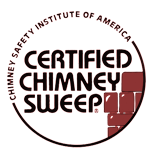 Our nationally-certified chimney technicians know what tools to use to clean out soot from your fireplace. Classic brick and mortar chimneys needs professional smoke stain removal to prevent damage from cleaning supplies. Power washers can damage the joints in older chimneys. Likewise, the majority of detergents will discolor the original brick and mortar, leaving you with an irreplaceably ugly chimney. Our Wisconsin Chimney technicians have been at this for decades. We understand the reaction chemicals have and only utilize environmentally-friendly, non-toxic solutions for complete chimney restoration and repair services. Cracks in your chimney liner can lead to stains throughout your home. Our chimney repair and rebuilding service will make your chimney good as new. 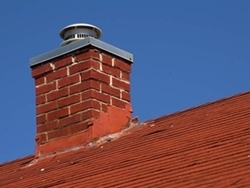 A fully functioning chimney will direct smoke out and prevent future stains. The toughest masonry stains are no match for the skills of our Wisconsin Chimney Technicians crew, as we are all experienced working with modern stone and marble chimneys. Why let a layer of disgusting soot ruin an otherwise beautiful piece of your home? Instead, have the smoke stains removed from your Milwaukee chimney today! Contact the smoke stain removal experts your Milwaukee chimney needs.